Travellers planning journeys during the busy August Bank Holiday weekend will be pleased to learn that Highways England engineers are now in the process of completing or suspending planned roadworks across the vast majority of the nation's major routes. 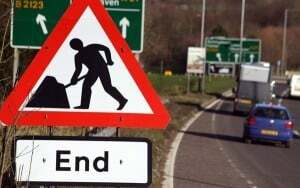 Overall, 97.4 per cent of England's transport network will be free from roadworks by 06:00 BST on Friday (August 28th), with 115 improvement schemes being completed by this time and a further 62 projects put on hold. Engineers will not be returning to work at these suspended roadworks sites until September 1st. Simon Sheldon-Wilson, director of customer operations at Highways England, explained: "To help road users enjoy this bank holiday weekend, we’re completing or suspending over 400 miles of roadworks on motorways and major trunk roads. "But we're still asking people to play their part by planning their journeys and making use of the traffic information services we provide." Every effort has been made to complete projects in time for the upcoming Bank Holiday weekend, but in many cases some transport management measures will remain in place for road users along specific routes. This is due to the extensive costs surrounding speeding up works at individual projects, as well as the need to ensure the ongoing safety of all road users during the suspension period. In total, 432 miles of existing roadworks will be completed by Friday, ensuring travellers across the length and breadth of the country can enjoy swifter and more reliable journeys over what is expected to be a busy weekend for the transport network.